Concord is a small family owned business. We don't have a large corporate infrastructure with high salaries. Concord doesn't spend thousands and thousands on advertising and marketing. As founder and owner, I negotiate with providers to make sure I get the best service and pricing for my clients. All of this adds up to savings for our Jet Card clients, and you not only get the best pricing, you get personalized service. I personally service every Jet Card client as President and Founder of Concord. Call me anytime day or night and I will pick up the phone and be ready to work for you. Whether you want a light jet, heavy jet, turbo prop or very light jet for short trips, you can use your Card for any mission. We look to be the only provider of your private aviation needs. Your hours never expire since we want you as a customer for life. Look and compare our all inclusive rates next to your Jet Card. If you act now, you will be able to take advantage of our free hour offer which will make your rates even lower! Since we mostly grow through referrals, tell a friend and we will add an hour to your Card. 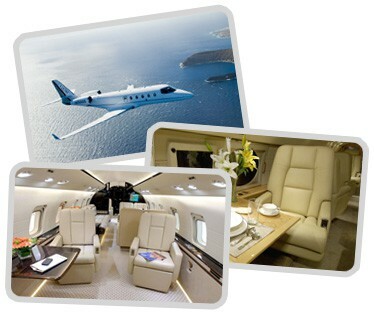 Concord Private Jet is a private jet charter broker and serves as an agent for its clients. Concord does not own or operate any private jets. All flights are operated by Part 135 Air Carriers that must meet Federal Aviation Administration (FAA) Safety Standards. Concord private jet serves as an agent for customers in obtaining air charter services from carriers that are fully certified by the federal aviation administration and the U.S. Department of transportation and who are solely responsible for the air transportation arranged by concord on behalf of its customers. Concord private jet is not a direct or indirect air carrier, and does not own or operate the aircraft on which its customers fly. Argus is the leading independent safety auditing company to the private aviation industry.